Eastbourne School of English was founded in 1936. Eastbourne School of English was founded in 1936. It is operated by The English Language Centre, a not-for-profit charitable educational foundation with a strong commitment to providing quality English language teaching and excellent student services. The school is accredited by the British Council and we are inspected against strict criteria every four years. 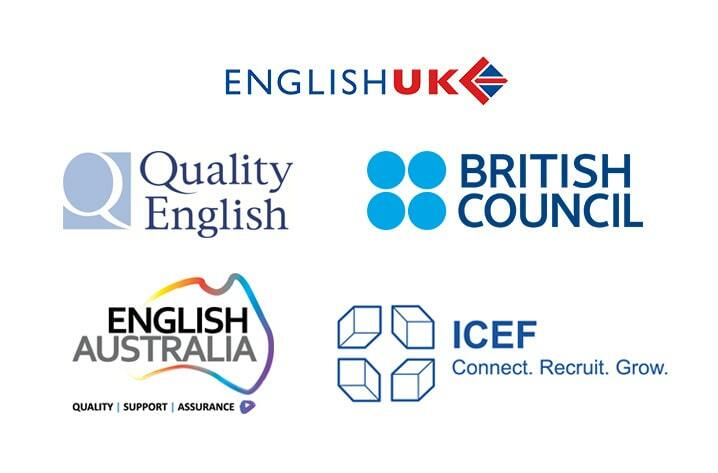 We are also members of Quality English and IALC, two organisations of independent, high quality language schools. ESOE is partnered with The English Language Centre, Brighton. We understand that everyone is unique with different needs and different goals. From your first contact with us we will provide you with individual attention. Our whole team of staff is dedicated to providing you with excellent courses in a warm, friendly and professional environment, as well as caring for every aspect of your stay. We offer a wide range of afternoon and evening activities including sports, local visits, film evenings and quizzes. On the first evening of each course there is a social evening to give new students a chance to get to know each other and to meet other students already at ESOE. Brighton for shopping and a tour of the picturesque Lanes area. Hastings to see the Castle and the Smugglers’ Caves. Beachy Head and Pevensey Castle, built in Roman times. Bodiam Castle and Battle, site of the Battle of Hastings. We organise a variety of full day excursions at weekends throughout the year. These excursions can be booked and paid for when you are at ESOE. A friendly, caring and safe learning environment. Highly experienced and professional teachers. All coursebooks and teaching materials. A full programme of social activities and excursions. A student lounge, with food and refreshment facilities. Free WLAN throughout the main buildings. A Self-Study Centre with computerised language laboratory, free internet access and connections for laptops. A free advice service to help with university application. An Accommodation Department to help you find the right place to stay. An optional Airport Transfer Service.